As you will all know by now, that I love tea time snacks and of late scones have been on my list. They are so quick and easy to make and I have altered the recipes to make a small quantity. Which is perfect, because who really wants to eat one flavour of scones for the entire week? 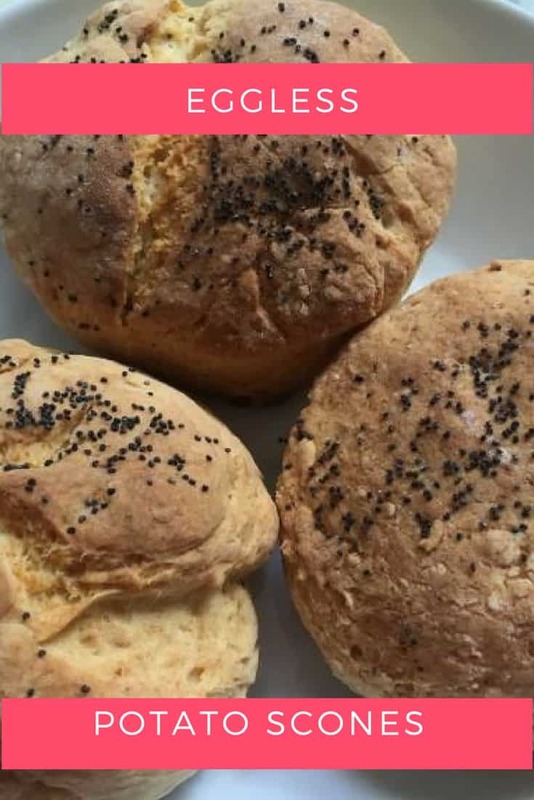 On the menu today I tried Mary Berry’s potatoe scones… yummy and perfect because it is eggless and you know how much I just LOVE an eggless recipe. This recipe makes 6 medium-sized scones. 6 x ounces (175g) cake flour. 2 x ounces (50g) x rama margarine. 1 ½ x ounces ( 40g) castor sugar. 100g x boiled potatoes, which has been mashed, which is roughly 2 x medium-sized potatoes. In a bowl, mix the flour and the baking powder together. Add the margarine and rub with your fingers till the mixture resembles that of bread crumbs. Add the castor sugar and mix. Add the mashed potatoes and using a fork mix and break up any lumps that the potatoes may form. Add the milk and roughly knead with your hand, till it comes together. Turn out onto a floured surface and using your hands, flatten the dough.